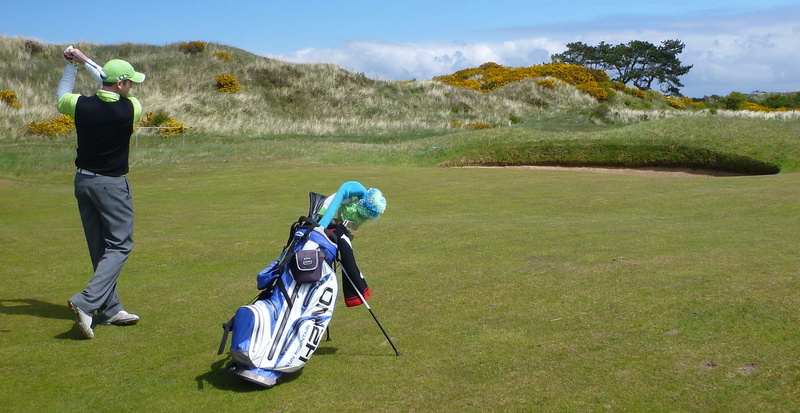 This entry was posted in Accessories, England, Golf Courses, What's In My Bag and tagged Bandon Dunes, Pacific Dunes, Royal Birkdale by David Owen. Bookmark the permalink. If you found something like a nice ballmark on the course, the honorable thing to do would be to turn it in to the Club House so the unlucky person who lost it could get it back. Who knows, maybe he/she was planning on giving it to someone special. How is this different from self policing on the Rules? Golf is a game of honor after all. So, Bob, do you turn in golf balls that you find? Clubs, wallets, phones, sunglasses, etc. – absolutely return such to the clubhouse. Unless the markers, divot tool, etc. are engraved with a name or initials – they are made to travel. It’s an interesting moral question–where to draw the finders-keepers line. I’m with Cartman, but I can see how Bob could include ball markers in the other category, and I can picture ones that I myself would turn in. 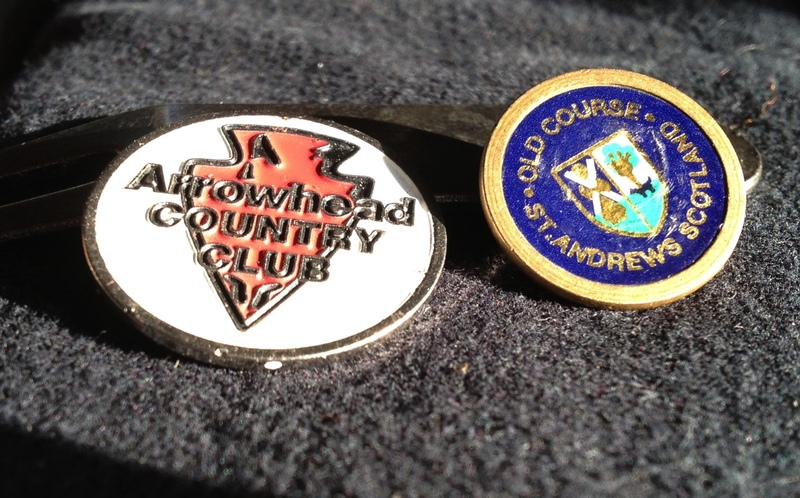 On the other hand, I’ve lost hundreds of ball markers and green-repair tools over the years, and it never occurred to me to ask in the golf shop whether any of them had turned up. I kind of like thinking that they’re possibly still in circulation, but in other hands. I also feel mildly depressed when I look at my collection of foreign coins and souvenir markers and realize that I won’t possibly live long enough to use them all. Losing one, even a current favorite, seems almost like a blessing, because then I can move another (possibly luckier) one into the rotation. As for balls–we did once have a member who wrote her name and a reward amount on each one she used. They weren’t nice balls, either. By the way, give turn that wedge you found on the 6th hole two months ago into the club house.